The most sought after color! 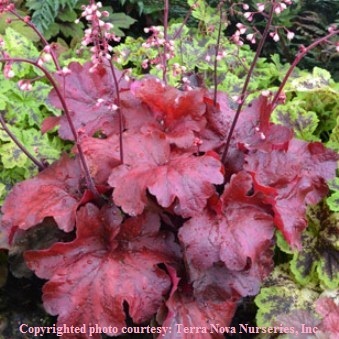 "Red" coral bells are a beacon in the garden. Heuchera 'Fire Alarm", pictured here, adds so much visual delight to the garden. Its color, texture, shine and flowers are a whirlwind of excitement.